Retro styling and the latest in high tech features making it the centerpiece of any kitchen. This coffeemaker even includes a charcoal water filter which ensures great tasting coffee by removing all of the impurities from the water. 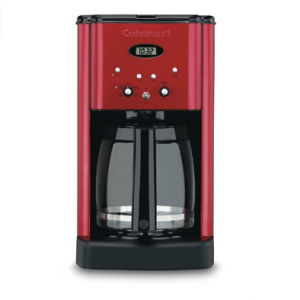 Advanced features include a programmable digital clock with 24 hour advanced-brew setting, an automatic shutoff, a self-cleaning function, and an audible beep that signals the end of the brew cycle, which makes brewing the best tasting coffee easy.